In what is becoming an annual highlight Parkes joined significant buildings and landmarks across the world by lighting up The Dish in blue in celebration of World Autism Awareness Month. The Central West Autism and Special Needs Awareness Group (CWASNAG) organised two events under the Blue Dish last weekend. On Friday night over 300 people enjoyed a family-friendly picnic night. On Saturday night the weather remained perfect for another beautiful evening when about 50 people, all wearing something blue, enjoyed a cocktail fundraiser evening with live entertainment by Westland (Glen Westcott and Travis Boland), an informative and thought provoking panel discussion and lovely food by The Dish Café. “The Blue Dish is a fantastic initiative, shining a spotlight on this important cause. A big thank you is extended to CSIRO for their support in making this happen,” said Mayor Ken Keith. Angela said feedback from the panel discussion was that everyone took something away from the evening that will stay with them for a long time and encourage them to ask more questions. Iconic structures across the world lit blue in April include the Whitehouse and Rockefeller Centre in the United States, Christ the Redeemer in Brazil, and the Opera House in Sydney. and Design Community Art Exhibition attracted a record number of 64 entries. First time entrant Ann Olson’s colourful arrangement of flowers made with baling twine, called Drought Flowers, won the Yearly Theme prize, as well as the Open 3D category. “I did not expect this,” said Ann. Helen Standen won the Yearly Scrap Metal prize with her entry Old Keys Won’t Open New Doors, as well as the Building/Sculpture 2D category with her work called Tools Down. Andrea Lovell, acting Cultural, Education and Library Services Manager, said the level of entries kept on getting higher making the task of the judges very difficult to pick the 17 winners. The annual event was the brain child of Steven Campbell, Director Planning and Environment of the Parkes Shire Council, who will be retiring soon. The Mayor paid tribute to Steven for his initiative and the hard work to turn it into a regional event comprising 17 councils in the Netwaste region. The exhibition will be at the Parkes Library until the end of the month when the winning entries will move to Oberon for the regional exhibition. Tiffany Steel is back home where it all started in 1993. As the Parkes Elvis Festival’s newly appointed Sponsorship and Marketing Coordinator the wheel has turned full circle for Tiffany who helped to coordinate the early Elvis festivals and served 20 years on the Elvis committee. It was there in those early days that Tiffany fell in love with organising events – a talent that came naturally. Tiffany enjoyed growing up here and has always loved Parkes. Since her marriage ended five years ago, she has thought about coming back with her 11-year-old daughter, Ruby. “I knew I’d need a great job if I were to come back,” said Tiffany. “When this position came up, friends said ‘look it’s got your name written on it’ and I had to agree.” Along with her enthusiasm and great new ideas, Tiffany brings a wealth of experience in event organising. She has organised conferences and events around the world. She worked in local government in a tourism and marketing role in Port Macquarie Hastings; for the Westpac Rescue Helicopter Service in Newcastle; and managed events and fundraising for children’s charity Variety in Brisbane – all stemming from her roots of being the first paid coordinator of the Elvis Festival in 2007. Tiffany also brings a personal passion to the Elvis Festival, and it quickly shines through her bright personality when speaking with her. She is full of great ideas and is working on a really big one at the moment – to be kept under wraps for now. She would like to see the number of festival days extended, and an increase in international visitors, currently measured at 1%. She has a very high regard for the volunteers and would like that community spirit to continue. While Tiffany is grateful to be back home with her family and have the opportunity to work on the Elvis Festival, Parkes should feel very lucky the wheel has turned to bring Tiffany back to where she belongs. Autumn is the time to prepare your pets for the winter season. Although fleas and ticks are mostly found right through the year in Australia, there are particular challenges that need to be met during autumn. Even though autumn is cooler, household warmth can keep undetectable flea’s larvae and pupae alive for several months. It is therefore important to use preventive treatments. There are lots of monthly flea preventives that come in both topical and oral form. Tablets and spot-on treatments can prevent not only fleas but also heartworm disease and intestinal worms in pets. To prevent fleas from affecting your pets, it is important to wash beds, carpets and other areas where the pet goes. Each and every pet in the house should be given flea preventive treatment so that they are free from any irritation caused by these nasty pests. You can try Nexgard Chewables which are available at the Parkes Pet Barn. Some ticks go into feeding period of hibernation in autumn, but adult stage deer ticks are at their peak in autumn. In fact, they can cause Lyme disease in pets. The most prevalent tick is the brown dog tick that is found in the Northern Territory. This tick has the ability to utilise three hosts to complete its lifecycle. It requires a blood meal before reaching the next level. Each female brown dog tick can lay around 4,000 eggs. There are different sprays and spot-on treatments for ticks. If you find fleas and ticks on your pets, talk to Sean at the Parkes Pet Barn or consult a veterinarian about the best possible preventive treatment for fleas and ticks on your pets. In a month’s time Trundle will be transformed into a colourful flares and sequins paradise when 5,000 ABBA fans descend on the small town to say ‘Thank You for the Music’! The eighth festival on Saturday, 4th May, has once again secured the most successful tribute act of all time, Björn Again, as the feature act and they will be performing their 30th Anniversary Tour celebrating 7,000 shows in over 100 countries. The main stage at Berryman Oval will be rocking all day with support acts like Parkes’ very own Amitie, rocker Ben Ransom, soulful vocalist Ingrid Mae. The day also features Fashions of the Festival, Dancing with the Stars with Alana Patience and Tristan McManus, DiscodTours (silent discos), face painting and markets. The ABBA Express will again be running a return service from Sydney, Parkes and Forbes, while there will be buses from Parkes, Forbes and Canberra. If you are planning to stay over, there are still unpowered camping sites and glamping tents available at the Racecourse. Bookings can be made via www.123tix.com. 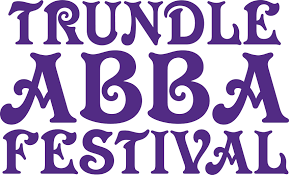 Tickets to the festival can be pre-purchased via www.trundleabbafestival.com.au. Enter our competition on page 6 to win a double pass to the ABBA Festival. Three months ago Donna Monkerud took on the immense challenge started by Ellie Hetherington eight years ago of selling plants for charity. 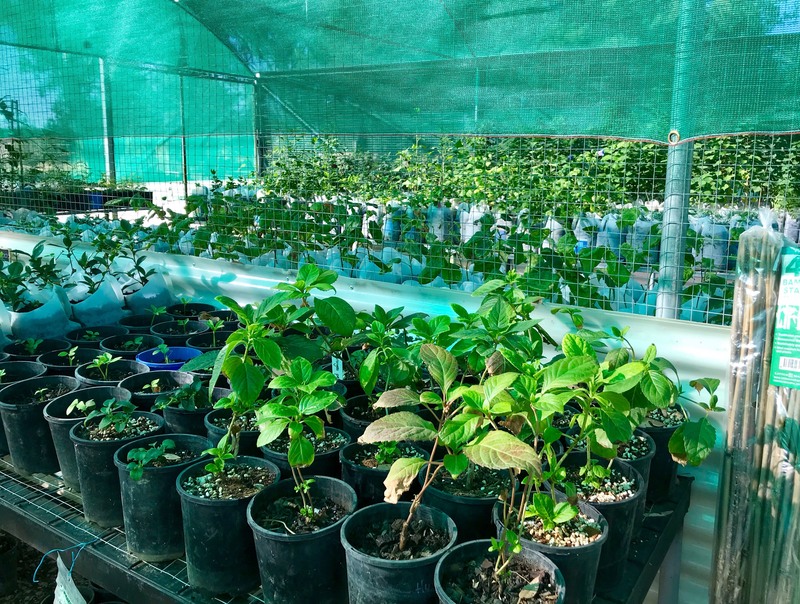 Donna has an impressive set-up of greenhouses, vegetable gardens and propagation enclosures at the corner of Kelly and Military Roads where she works mostly on her own. But she does welcome help from friends. “Ellie and her friend Marg still help me out with propagating, Fay Blackstock gives me lots of cuttings and roots, and I have wonderful support from my next door neighbours, Cathy and Peter McPherson. Donna has around 4,000 plants for sale, and lots of trees going for $5. There are plenty of hedge plants, lots of salvia and she expects new arrivals of native grevilleas and bottlebrushes late April. Can Assist receives 100% of sales from the plants, apart from some of Donna’s expenses. If you’d like to help out, Donna is always in need of 2L and 3L milk and juice containers, which can be dropped in a cage at the back past the greenhouses. Seeds and cuttings are also very welcome, and can be dropped in a bag over the fence. Donna says a label of what’s in the bag would be helpful. If you’d like to support Donna’s nursery, she’s open on weekends, and if she’s around during the week she’s more than happy to help you. If you want to call her on 0418 258 617 she’s happy to find a time for you. The Parkes Library Ambassadors for 2019 were appointed last week from three primary schools in town. Year 5 students could apply for the role to promote and communicate what is happening at the Parkes Library with their respective school communities. Debbie Gould, who runs the program with Sandie Ward, said they had learned from a trial run last year that when students heard something from their peers it had more value. The ambassadors from Parkes Public, Middleton Public and the Parkes Christian School will learn about responsibility and leadership while sharing news about new books, holiday programs and other events at the library. Each week, K-2 students at the Middleton Public School get the opportunity to spend time gardening. Last week Kindergarten students planted leek, radish and Brussels sprouts. They also harvested beans and a strawberry. The Parkes Ministers’ Association (PMA): donated $7,000 raised at the 2019 Parkes Elvis Festival Gospel Service to two charities. The East Timor Mission received half for a shipping container full of supplies. At the handover were (L-R) Cr Neil Westcott, President of the PMA Pastor Andrew Taggart, Mayor Ken Keith OAM, Director of ParaMarcia Geoff Steventon and Parkes Elvis Festival Director Cathy Treasure. Daylight Saving Change: On Sunday, 7th April Daylight Saving Time ends. This means at 3am clocks are turned backward one hour to 2am local standard time. Sunrise and sunset will be about one hour earlier on Sunday than the day before giving us more more light in the morning. Anzac 360: Leading up to Anzac Day the library will have Virtual Reality 360-degree drone footage of the Australian Remembrance Trail along the Western Front including eight key sites and battles. The library has a Virtual Reality headset to bring this to life for you. fundraiser evening will be held tomorrow (6th April) under the Blue Dish with a panel discussion, live entertainment, telescope viewing and a lucky door prize. CWASNAG president, Angela Wilson said: “By lighting our Dish up blue during the month of April, we are creating an awareness of Autism and in turn, prompting conversations about it. Through awareness comes understanding, which ultimately brings acceptance.” For more information and to book tickets visit www.visitparkes.com. Interact with LIVE sea creatures and experience the magical underwater ocean world with Puffer fish, Port Jackson Shark and Pencil Urchins! Learn about the art of origami and create your own. Plant a herb to take home, put on your chef’s hat and make yummy pizza. Hands on workshop featuring our live and preserved minibeast collection including magnifying glasses and devices. Meet at PAC Park and learn how to identify habitats, build pitfall traps and loads of other fun activities. Explore all things bees and honey, make your own damper and try different flavours of honey. Bookings open Monday, 1st April and need to be done in person at Parkes Library. Cost $2. Wear old clothes, closed in shoes, bring your drink bottle & library card. All children must be library members to participate.